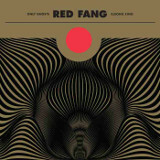 Red Fang's blend of quirky humor, Northwest grunge, and desert stoner-rock has given them a strong following here in my hometown of Portland, OR. Only Ghosts makes no major changes in their sound since 2013's Whales and Leeches, but they do make it cleaner. This has the effect of delivering a solidly accessible album that seems like it would have appeal both inside and outside the metal world. They just might be that rarity in modern-day rock music, a band that can make a consistent album without either getting limited to the fanbase of a particular genre or having to turn their backs on fans of earlier albums. Since Murder the Mountains, they've smoothed out the roughness of the vocal/guitar combo a lot, and the resulting sound feels somehow more complex; from being reminded of Orange Goblin in earlier albums, I'm reminded now more of Mastodon. But there are enough hidden depths to keep them from getting easily pigeonholed influence-wise. Cut It Short and Not For You are somewhat cleaner than I've heard from them before, revealing a minimalism and attention to melody that the better grunge songs of the 90s had, and they successfully stay heavy -- different, but very enjoyable. And stoner-style items are still on the menu too, and will be welcomed by those who liked Murder the Mountains, featuring funereally chimed guitar chords over scraping feedback, turned down to background level. But The Smell of the Sound is especially interesting. Doomy and progressive all at once, split between harsh and cleaner, high-pitched vocals, the guitars wail in the upper register to the point of being nearly ambient noise, run through a phaser module to wash in and out of the ear, and occasionally getting tremolo-picked as if on a black metal song. They're not dropping their stoner-metal influences -- Living in Lye, the final track, is the in-your-face proof of that -- but there is a much wider variety across the tracks of Only Ghosts than they had on any album prior to this. That's a good thing, in this case, because Red Fang happens to be very good at versatile songwriting, and Only Ghosts showcases this nicely. The psychedelia of their instrumentals are offset by surprisingly catchy songs with a dark heart to them, and the combination, polished to an even more blinding sheen on this album than previously, makes Only Ghosts an album worth multiple listens.